My money says this will suffer from the same emulation problems it traditionally suffers on PC emulators and will be unable to save properly, thus rendering Wily Tower permanently locked. Here's to hoping there aren't any significant emulation errors this time. Lol what a coincidence. I was just recently looking at these items and noticed Wily Wars was on the handheld. Actually rather surprising. A somewhat "cheap" alternative. Reason I was looking at these items is because I recently bought the console seen in Valkysas' link (not from Amazon). To answer his question, no, it does not contain Wily Wars. However it should be noted that the system can play games from any region. So if you happen to own a Mega Drive copy of Wily Wars, just pop it in. Also, those 40 unspoken games are all generic games. Rather low in quality, but pretty decent for what they are. They also make up half of the 80 in the standard console. Which by the way is officially licensed by Sega and is essentially the "Genesis 4", but is known as the "Firecore". One seen in Valkysas' link is an upgraded wireless version with more games. As for RADIX's concerns on emulation problems...yes, there are a few. Most noticeably issues with music in a lot of games. Not the best sound quality, that's for sure. Not entirely sure if external carts have issues, but maybe. I'll report back if anyone's interested in knowing. There are patches that fix the Wily Tower hang-up, though. It's like, on the one hand this seems cool. But on the other hand, I don't care for handhelds. If it had an AV out on it, that would be cool. But the real downside to me is that it's a good bet that I own most of the games on here in one form or the other. So that would make MM:TWW the only game I'd want. For $60. If I wanted to pay $60 just to play MM:TWW, I just hop on to eBay and buy a repro copy for pretty close to that and be able to play that on my TV. I'll probably be picking this up sometime just to legally own The Wily Wars and maybe keep my fingers crossed for a couple of Genesis games I used to like. Wilynumber13: A quick patch to the game file will fix the saving issue, I have it available for download here. It's the latest option at the bottom of the game. I'm keeping an eye on this... If it's good enough, I might very well pick up one. 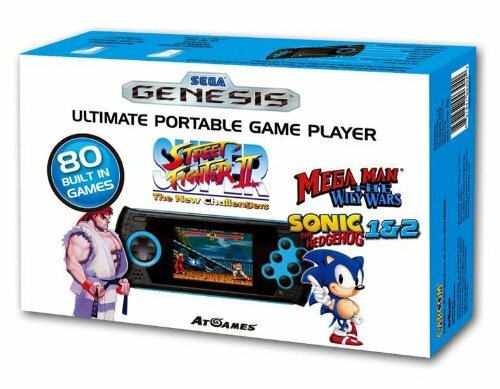 I'm not sure if a lot of people realize just how bad the sound emulation is on these at games genesis clones, do yourself a favor and get a reproduction of wily wars instead and play it on a real genesis for less then this piece of crap costs. That's nice, but where's Xover? Please listen to Anonymous November 4, 2012 10:48 AM. Save your money and stop supporting the garbage SEGA puts out. The Wily Wars itself is an OK game, but not worth that much for something that isn't even on the original platform. Just emulate it and get Dr. Cossack's patch. I mean, how many versions of Sonic The Hedgehog do you need???????? @Anon November 4, 2012 4:12 PM: How many version of Megaman do you need? What´s the point if I can emulate these games in my pc PERFECTLY?? and I have access to the Willy Tower via save files. WOW!!! I hope it doesn't drive the price of the official game down, but that's great news for fans. This is definitely worth the money. I'm well aware of the patch that fixes this problem, but it's not like that helps the situation with this built-in version. Honestly other than Wily Tower this game is not worth playing anyway. It's just not a good port/remake of the games. 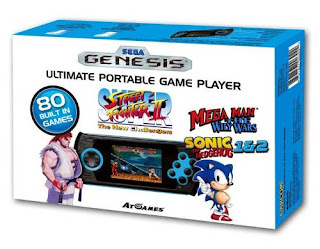 Well, it still can't be as bad as the Sega Nomad. Clunky, bad D-pad, poor battery life, and it resets itself if you so much as graze the battery pack. Y'ever try playing Wily Wars on the Nomad with a universal key? You gotta keep that sucker mighty steady to keep it on. All in all, I'm still not sure if this holds up against a modded PSP. It's a lot cheaper (especially without the additional memory card) and it saves you the grunt work of modding and downloading roms. But if this is a licensed product, how much third party content can you expect? This! I have this game emulated on my PC and it works great! I am not going to shell out $60 for something that may not work properly. I was never a Sega fan anyways, so I am probably not missing out on the extra games anyways. @Hypercoyote: ... Why would you not want the price to go down?